Do you want to grow vegetables commercially indoors or outdoors with guaranteed customers? Do you want to be an urban farmer and sell directly to the restaurant 50 meters from the farm? Do you want to become part of Sweden’s most innovative meeting place around food and sustainability? Then you should apply to the cultivation area at Garveriet in Floda! The deadline for applications is March 15! What is offered is 80-160 sq.m. of polytunnel space and 400 sq.m. for commercial soil based farming, “market garden” style (with room to expand for coming years), there is also a potentials to rent up to 100-200 sqm of indoor space suitable for vertical farming, raising plants, storing tools etc. 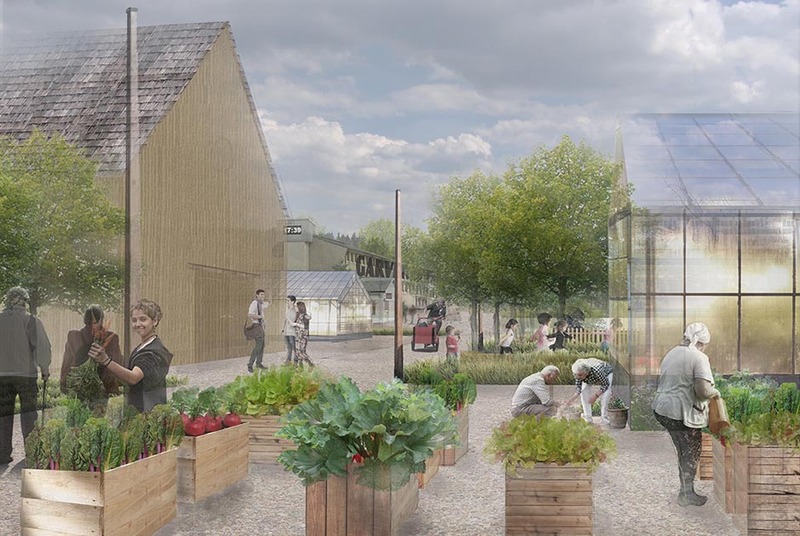 Garveriet in Floda is an inspiring meeting place where knowledge and curiosity about innovative sustainability and local, small-scale food production will have the opportunity to grow. As a farmer here you will have a guaranteed customer and a great channel to sell your produce and you will be able to sell the majority directly to the restaurant at Garveriet, the local food store “Skafferiet” and other restaurants such as renown Jernbruket in Floda. The farm will thus work a bit as a so-called “Restaurant Supported Agriculture” (RSA). A commercial grower who wants to grow in soil, in a Market garden of 300-500 sqm, with potentials for polytunnels. All investments on fixed infrastructure are made by the property owner and you as a grower pay off this cost by a percentage on the rent. The cultivation area is therefore also available for those who want to start growing companies but have difficulty making the big investments themselves.Other benefits are access to the sanitary facilities in the building as well as staff rooms and a place to wash vegetables before delivery. Water and electricity connection will be available in the Greenhouse to connect grow-lights or other automated systems. A storage room is available for storing tools, as well as indoor surface for raising plants can also be added to interest. More info is given at the info-meeting on February 28th at 5 pm. Apply your interest below for more information!